Selfie-seeking fans of gold medal-winning US gymnast Simone Biles delayed the closing ceremony of the Rio Olympics. 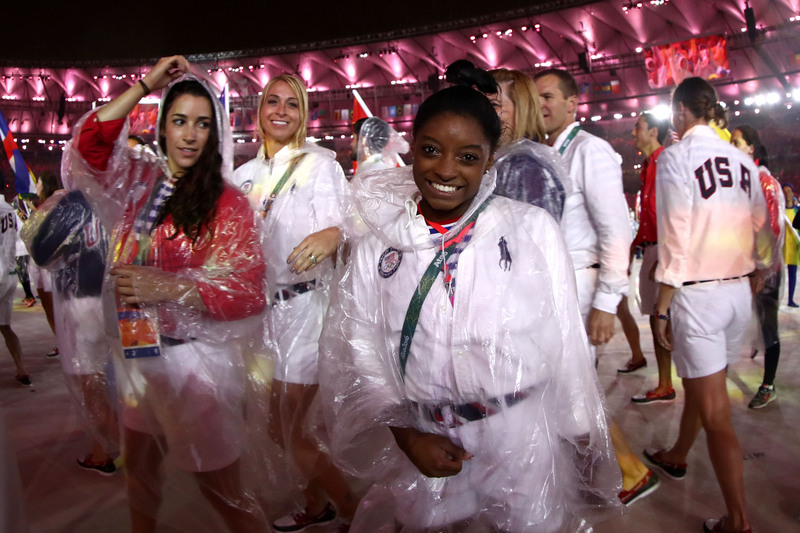 Video showed Biles, the US flag bearer in the ceremony, repeatedly being stopped by fellow athletes. The winner of four gold medals was swamped by demands for pictures next to the famous “Biles smile”. The ceremony was the culmination of a whirlwind two weeks for the gymnast. And “America’s new golden girl” rose to the occasion – wearing a big grin for every picture. She was one of the most successful athletes in the Games, leading the American team to a second consecutive team gold medal by an eye-catching eight points before winning the all-round title and gold medals on vault and floor exercises. The parade of athletes was dubbed “Simone Selfie Central” by NBC’s Mary Carillo, who described a “conga line of people” asking for a #simoneselfie. “Athletes from various countries kept stopping Biles during the ceremony to take the perfect selfie with her.” the magazine reported. Such was the demand, it reported, the closing ceremony itself was delayed. The athlete, who stands at 4ft 8in (1.42m), was widely reported to be a little nervous about carrying a flag that was about twice her size. “I’m afraid the flag is going to be too heavy for me,” she was quoted as telling reporters ahead of the closing ceremony. Biles’ medal tally equals those of Nastia Liukin in 2008, Shannon Miller in 1992 and Mary Lou Retton in 1984 with American newspapers over the weekend describing her as the best gymnast of her time.